On the 15th of April Class 12 presented -"Quintessential Shakespeare", a special assembly celebrating the timelessness of William Shakespeare's works as a playwright, poet, actor and writer. Vignettes from his famous plays -Hamlet, Mcbeth, Julius Caesar, King Lear were the highlights of the show providing an awe-inspiring experience for the spectators. E² | Education Exchange is an exciting annual event that hosts more than 300 of the most outstanding educators across the globe from the Microsoft Innovative Educator network. This year the event was held in Paris and one of our teachers Ms Bhavi Ahuja was selected as Microsoft Innovative Educator for innovation in using technology in Education. Bluebells celebrating the Spirit of technovation at Atal Tinkering Lab@BBS with Dr. Unnat Pandit(NITI Aayog) and Karamveer chakra awardee young innovator Mr. Yashraj Bhardwaj. The eighth graders got an opportunuity to travel to and explore Astroport in Sariska.The visit was power packed with team building activities, night sky observation, trekking ,Jungle Safari -where the students spotted the Big Cat Family ,various animals and exotic species of birds. The Cultural extravaganza provided some fun-filled moments as the children witnessed a show of theatrical skills. The experiential learning added a new dimension to the entire experience by giving the young learners new ideas for their Astronomy project . Dr Kanika K Ahuja, Assistant Professor, Department of Psychology, Lady Shri Ram College, addressed students and parents of class X on " Streams and Making Choices" for their Senior Secondary Education. 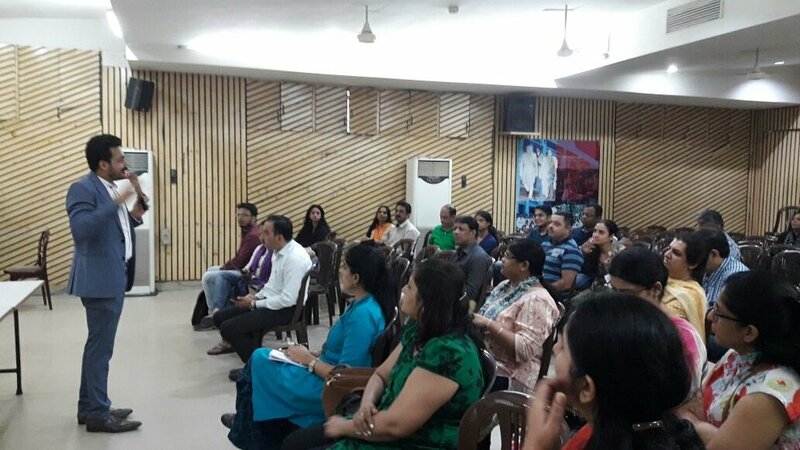 The school organised an interactive Chaupal session for parents of grade VII, presided by Dr Sameer Malhotra, on 9th February, 2019. 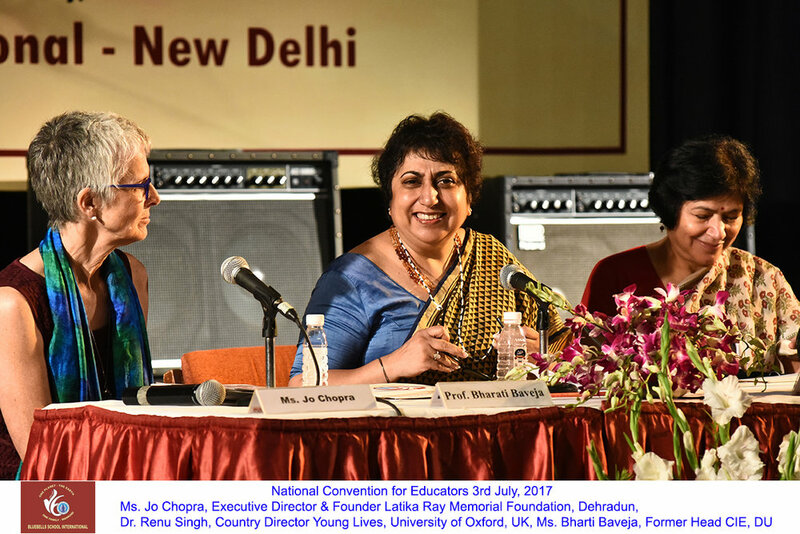 While discussing children's voices, Dr Malhotra addressed several pertinent issues afflicting parents , also employing them with possible resolutions to their grievances during the open discussion that followed. As a part of our annual cultural exchange with the New Delhi Japanese School (NDJS) that has been going strong for the last 28 years Bluebells played host to 144 students,15 teachers and parents along with the principal of NDJS to celebrate India day with gusto.There was an impressive display of Indo-Japanese fusion in the form of Wadaiko or Japanese drums ,traditional Indian and Japanese dances,Ohayashi performance and Japanese songs rendered by the Japanese students from grades 4 to 9.The Mathematical brain teasers, Jataka tales,artistic mirror work,Bhangra ,kho kho and kabbadi added to the learning with fun element.The day ended with students of both the schools playing Holi together with a smattering of beautiful marigold flower petals sealing the spirit of love and camaraderie between the 2 schools. On 2nd of Feb, Bluebells School International celebrated Valedictory Ceremony to bid farewell to out-going batch of 98 students of class XII. May they be the ambassadors of Peace and Brotherhood. We wish them well for all their worthwhile future endeavors. We are delighted to reinforce our commitment to environmental preservation through newly installed solar panels that harness the sun's energy for our needs, in the school campus. Our clean green environment initiatives take a leap forward as technology traps nature's resource to secure our future. It was a powerful amalgamation of beauty and brains at the Mr. and Ms. Bluebells held in the school auditorium on Friday, the 25th of January, 2019. 22 candidates vied for the coveted titles going through the general awareness, talent and extempore rounds confidently and gracefully exuding the Bluebellian charisma. Savita Tripathi of XII- C, Aakash Chaudhary of XII-A bagged the titles of Ms. And Mr. Bluebells and Saanjh Shekhar of XII-C and Vedanta Bhattacharya of XII-A won the Ms. And Mr. Talent. The Gymnasium Sudderelbe Hamburg, Germany visited Bluebells school international from 15 to 28 Jan 2019 as part of our 8 year partnership as a friendship school since 2011 . The delegation consisting of 8 students and 3 teachers enjoyed homestay with the host students and teachers.There was a fine amalgamation of various cultural and sports activities at school along with regular classes. The students of the two countries are working on a project on the topic- "Women Empowerment" in India and are currently visiting Agra andJaipur. On the 21st of January the host and guest students enjoyed bonhomie at the cultural evening with the parents, teachers and host students . Ms Kavita Chabbra, project manager Pasch Geothe Institute, New Delhi also graced the fun -filled evening as the special guest . Chaupal on " Children's Voices" for class 3 parents was held in school on 19th January, 2019 , Saturday, from 8:00- 9:30 am. The speaker for the session was Dr Pooja Shivam Jaitley, Clinical Psychologist. Chaupal for grade 6 was organized on Saturday, the 29th of December,2018 . Dr Sameer Malhotra, Clinical Psychologist and Director at Max hospital addressed the gathering on the behavioural issues specific to the sixth graders and reiterated that listening patiently to the chidren's voices would help adults see things from their perspective to help them channelize their strengths towards their better future. Bluebells School welcomes the delegation from Keimei school,Kobe_Japan to a collaborative cultural exchange to develop institutional linkages for the enrichment of youth. Mr. Ankit from Super Fire Safety Organization trains Bluebells Staff on using a Fire extinguisher as part of the workshop on School Safety. Bluebells school international hosted the 2nd edition of the Japanese Gundoku 2018 competition organised by the Japan foundation - JALSTA and supported by the Japan Airlines on the 14th of Dec 2018. 11 schools from Delhi NCR and 1 school from Nagpur participated in the competitive event. Mr Kobayashi, first secretary Embassy of Japan was the Chief guest for the day . He applauded the efforts of the host school and congratulated the participants for their witty display. Bluebells International participated in the 8th International Young Mathematicians'Convention(IYMC), 2018,an international Mathematics Contest that seeks to give mathematical expression to the inner creative urges of the youth. Our team brought laurels galore by winning 2 silver medals and 2 bronze medals in Maths Wiz and second runners up in Mathmania. Bluebells School International hosted it's long time exchange partner the Sabel School ,Munich- Germany from 25 Nov-7 Dec 2018 welcoming a delegation of 14 students and 2 teachers.The agenda included collaborating on meaningful projects like solar energy and social media films funded by lifestyles Culture Bosch. The students also worked together on a digital art project on the architecture of both the countries that will culminate next year when Bluebellians visit Sabel School, Munich for a reciprocal exchange .Our friends also learnt about Indian Folk art, craft, sports and dance. Participation was evident with full enthusiasm in the International sports meet held in the School grounds on 1st Dec 2018 in collaboration with Undokai dreams association.The farewell was a special event where the students presented their project before the audience.Mr. 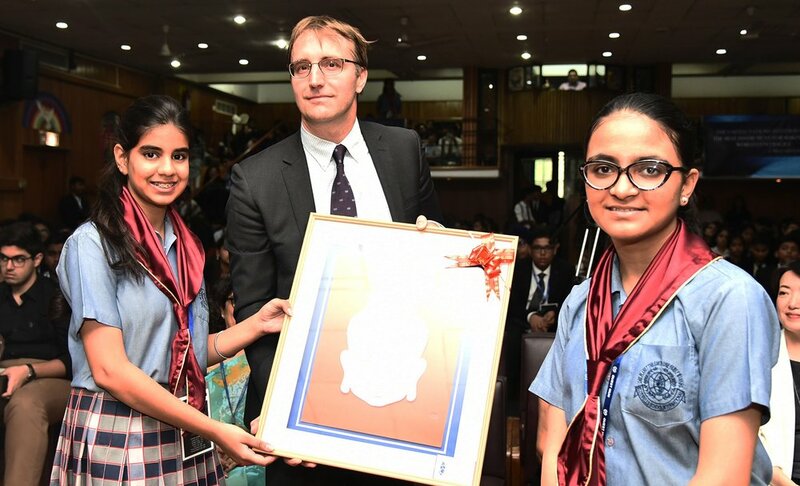 Procolino Antacido, Principal- German school, New Delhi was the honoured guest for the evening. Bluebells School International celebrated International Friendship Sports meet on 01-12-18, where participants from Russian Embassy School, New Delhi, Iraqi Embassy School, New Delhi, Sabel School Munich, Germany and Bluebells School International, New Delhi participated in the Recreational sports activities organized to foster the spirit of love and friendship and encourage healthy competitive sports globally.Spirit of camaraderie and sportsmanship was for all to see in a large measure amongst the 14 and under-17year olds. . The highlight of the event besides the interesting marathon was the informal march past by all the participants carrying a message " one planet the earth, One family mankind"...... under the National Flags of their respective countries. ". Chaupal on "Childrens' Voices for class 8 parents held in school on the 1.12.2018,Saturday from 8-9.30am.The speaker for the session was Dr. Pooja Shivam Jaitley, Clinical Psychologist . Adolescent issues based on survey findings voicing the opinions of the 8th graders was the highlight. A workshop on Understanding Mensuration was organised for class VII on 1.12.2018. A team from NIIT nguru was invited to conduct an interactive session with the students.The students were exposed to various mathematical software tools and lab manipulatives which helped them gain a HANDS ON experience! CMS Luchnow held Quanta, an International Science event where around 70 National and International teams participated. Tavleen Nagi and Kartikeya Sharma bagged third prize in Maths Quiz and Archishi Pathania also was adjudged third in Debate. New Friends from Sabel School,Munich! Bluebells welcomes the delegation from the Sabel School, Munich who Will be visiting us from 27th to the 7th of Dec!!!! Opening up to a beautiful world of German art and culture blended with its Indian counterpart!! Mr Melvyn Roffe, Principal of George Watson College, Edinburgh, visited Bluebells on the 27th of November. 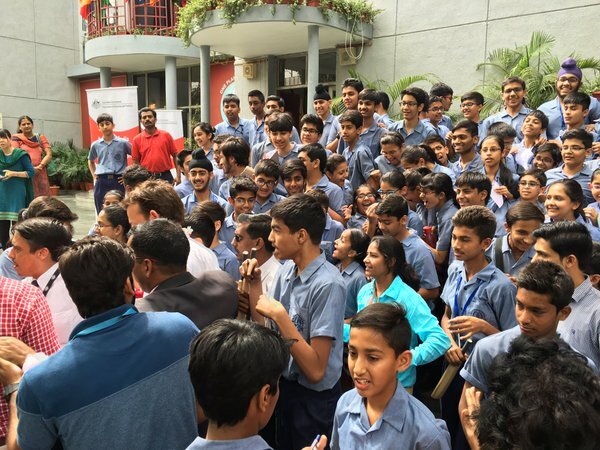 He spent time interacting with students and visiting the curricular and co curricular facilites at school. Later over a cup of tea the two principals explored the possiblities of collabarating on exchange programs and projects involving students of both schools. H.E. MS MELBA PRIA graciously consented to meet the delegates along with the Cuban Ambassador Mr Oscar Martinez and other dignitaries at Bluebells . The visiting delegation enjoyed the experience of indian sports, culture and arts along with dance and music.The students of both the schools have become friends for life and Bluebellians are eager to visit Mexico for a reciprocal exchange next year . Bluebells School's MUN Club won Runners UP, School Delegation, CRUX Model United Nations @ Apeejay School . Dia Gupta(6-A) and Shreyas Moitra(7-C) participated in "Inverse Rhapsody",an Inter -School Competition held at DPS R.K Puram on the 17th Nov,2018 and bagged the First position in the same. Chaupal on "Children's voices" for class 10 parents held in school on 17th Nov'18, Saturday, from 8.00 - 9.30 am.The speaker for the session was Dr. Pooja Shivam Jaitley, Clinical Psychologist. On the 3rd of November, students of Bluebells organised TEDxYouth@BBS, at school. 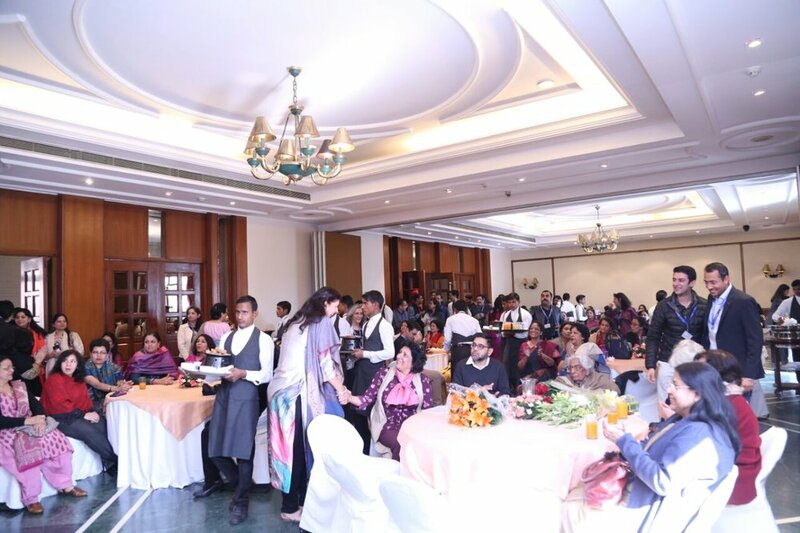 The theme for the event ‘Power of One - Be the Change’ attracted speakers from diverse walks of life to share ideas worth spreading. Attendees listened with rapt attention to speakers share how desire to touch lives beyond their own pushed them to explore what was just an idea. From helping the farmers of Vidharba, to having an alternative school with students from the age of 7 to 70, to using theatre to spread social messages and expressive arts as a medium of expression for vulnerable juveniles and using technology to assist the differently abled were all diverse ideas but with the single goal of ‘making a difference to humanity’. New Friends from EIB Paris! Bluebells School International has a new exchange partner - The Ecole International Bilingue, Paris, France. Our exchange started with their first visit to Bluebells from 14th-26th Oct 2018. 17 students and 2 teachers of EIB enjoyed home stays with the Indian families and various Indian cultural, sports, art and other activities at school. They made many friends across all classes and visited not only Delhi monuments for heritage walks, but also visited Jaipur and Agra as a part of their trip. 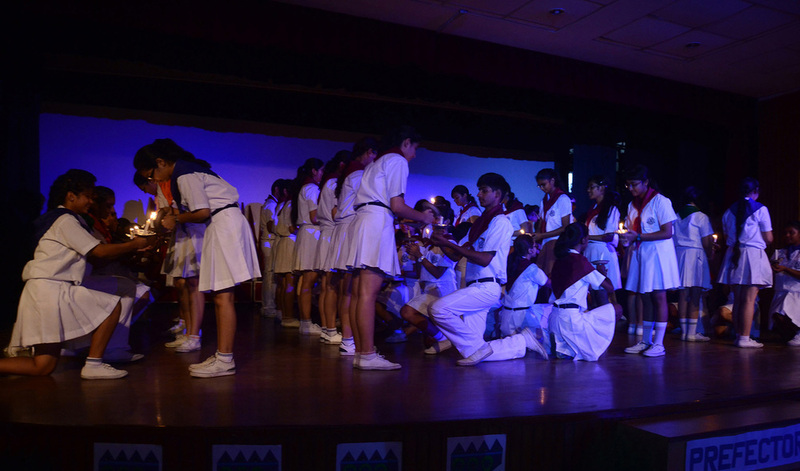 The highlight was the Hindi song and Indian dance prepared by the Indian and French students together over their stay which they performed together at the end of the stay. Students of Bluebells will visit EIB Paris for a reciprocal trip from 10th-24th April 2019. We hope to do an art and history project together during that trip. A group of 36 students along with 3 teachers went on a school trip to ISRO, Ahmedabad, GIR Forest and Diu Island from 16th to 21st October. This highly informative and interactive Interdisciplinary visit offered a glimpse of astronomy, flora and fauna of Jungle, Fun at beach and learning of life skill lessons. Visit to Diu Fort and Ashoka Edicts at Junagargh added a history angle to our journey. Bluebells School International was delighted to host 14 students and 2 teachers from The Kauniainen High School,Finland on the 11th of October 2018 , very kindly arranged by the Embassy Of Finland , New Delhi, on their recent trip to India. The students had a wonderful and enriching interaction and discussed International trade and business in the growing Indian economy, Indian Finnish economic relations amidst a cultural overview. We wrapped up the short visit with a game of Kabaddi which was a catalyst in building friendships for students of both the schools. Chaupal on "Children's voices" for class 9 parents held in school on 13th Oct'18, Saturday, from 8.00 - 9.30 am.The speaker for the session was Dr. Pooja Shivam Jaitley, Clinical Psychologist. The school celebrated it's 61st Annual day on Saturday, the 6th of October 2018 at Siri Fort Auditorium amidst great zest, vibrancy and elation. Mr. Amit Baruah, resident Editor of The Hindu was the Honourable Chief Guest for the occasion.Rabindranath Tagore's ideologies epitomized in his Poem The Child formed the crux of the cultural show . The dignitaries and guests were superlative in their appreciation of the Bluebells family for a classic programme presented. 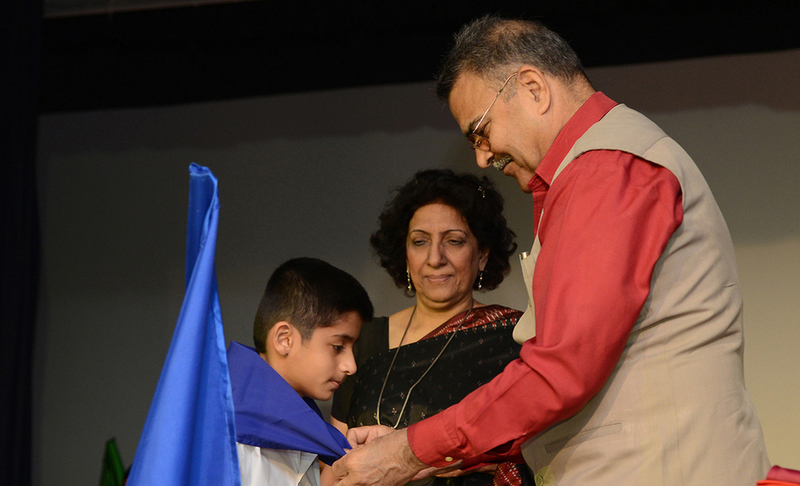 Bluebells School international celebrated Independence Day with unprecedented patriotic fervour on Aug 14, 2018. 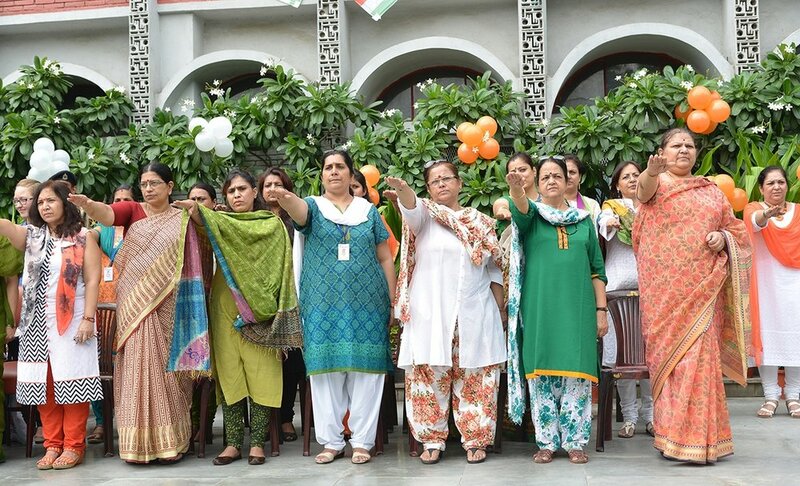 The gamut of celebration activities held on the campus consisted of a special Independence day Extravaganza, the march past and pledge taking ceremony, poetry recitation, debates and role plays. 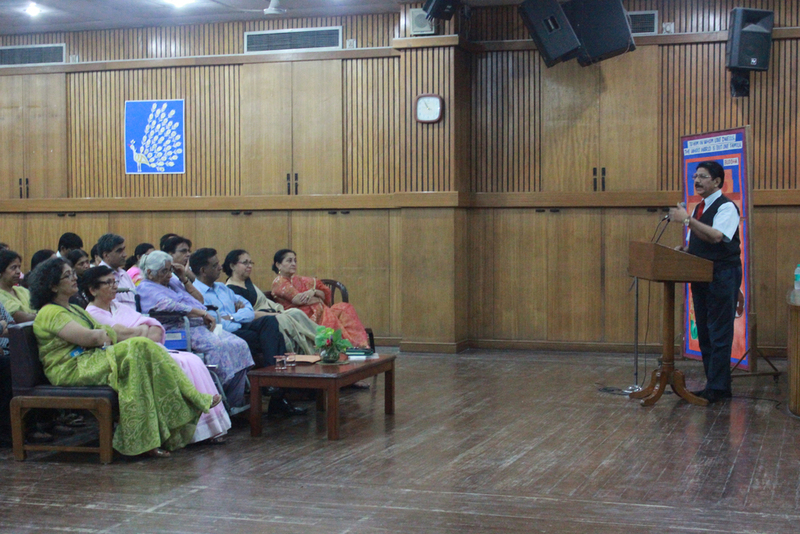 The Chief Guest-Ms. Deepa Gopalan Wadhwa,Former Ambassador Indian Foreign Service(Retd. ), reiterated and reminisced about the struggle that our forefathers and freedom fighters braved so that we could enjoy the haven of freedom that we have been enjoying for the last 71 years. Monthly Chaupal for Parents. 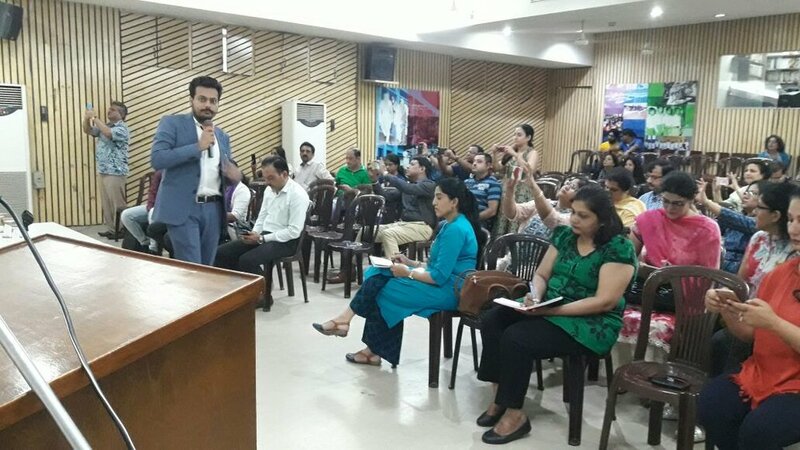 On the 28th of July, Dr. Yusuf Merchant, MD Psychiatry & Behaviour Therapist from Mumbai conducted an engaging and highly interactive session with parents -Conversations with your Child. On the 28th of July, students attend a session on Substance Abuse conducted by Dr. Yusuf Merchant, MD Psychiatry & Behaviour Therapist from Mumbai and his team. 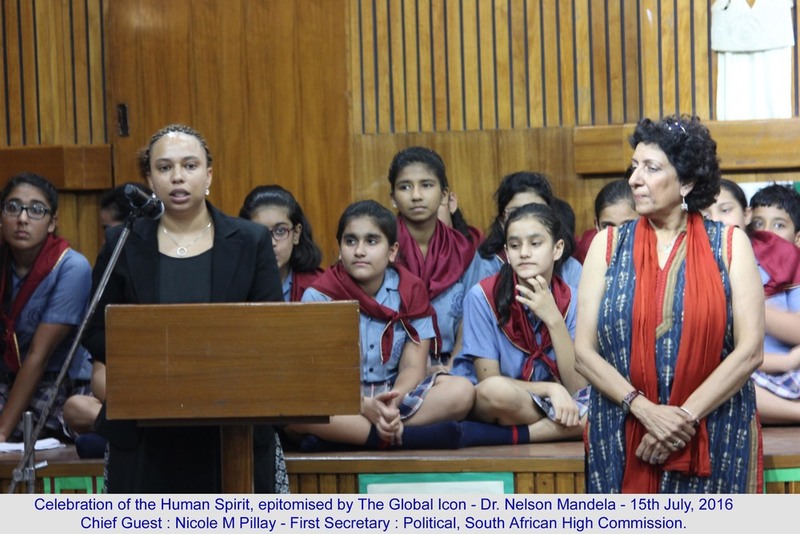 Bluebells school International on the 16th of July 2018, celebrated the 100th Anniversary of Dr Nelson Mandela. The life of this great hero of South Africa has inspired people from different countries of the world. The students of our school put up a cultural extravaganza based on his life in the Robbin Island prison and the coming of age of a world leader. The Chief guest of the event was Dr Hlamalani Nelly Manzini, the High Commissioner designate to South Africa. The Guest of Honor was Mr Anand Sharma, deputy leader of congress parliamentary party in Rajya Sabha. 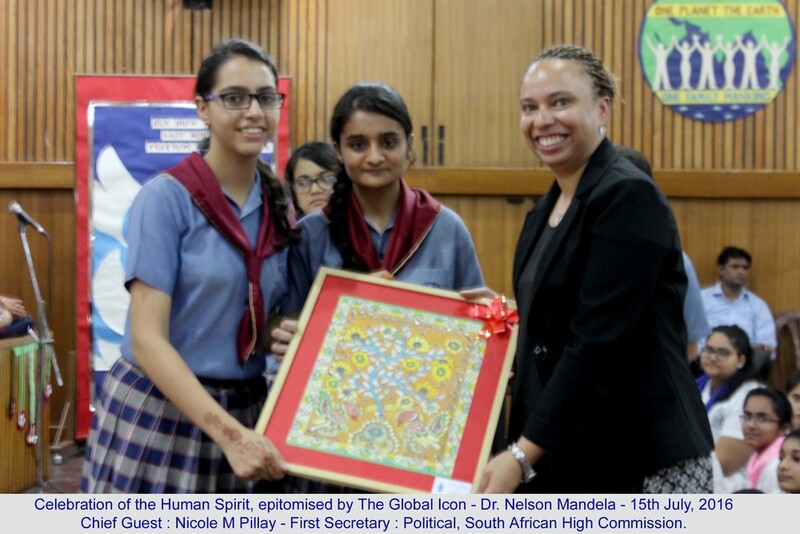 The event highlighted the decade long friendship of South Africa and Bluebells School, and together they have fostered peace and friendship as a team of changemakers. Honourable Daniel Andrews MP Premier of Victoria, Australia, writes a letter of appreciation to Bluebells following his visit and interaction with students at school. The Old Students Association of Bluebells (OSAB) organised an Annual Health Check-up for the helpers on 19th of May, 2018. The camp was held at the school clinic from 8am till 10:30am. Five alumni doctors including Dr. Satish Bhardwaj (Cardiologist and General Physician), Dr. Atul Kochar (Dermatologist), Dr. Umair (Eye Specialist), Dr. Kapil Arora (Dentist) and Dr. Misha Garg (Gynecologist). Approximately 50 helpers including 25 miraz workers, 4 guards, 7 drivers, 4 conductors, 10 helpers and 4 gardeners were a part of this health check-up camp. The BSF youth fiesta is celebrated every year to showcase the plethora of talent in the school as a culmination of the performance of the six houses in many fields. 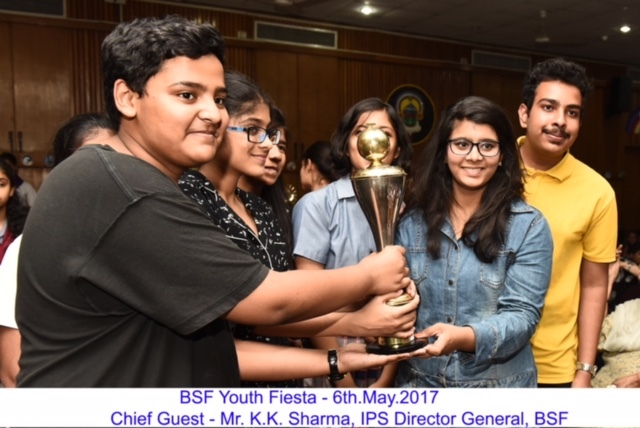 The BSF youth fiesta 2018, was scheduled for 3rd -5th may 2018 at Bluebells School International with the main theme as ‘Exploring New Vistas’.The electrifying choreographies from all over the Globe and zealous music compositions from diverse states of India left the audience euphoric in their hearts. These were appreciated by all the dignitaries, audience and judges from the world of theatre and performing arts and BSF Director General Mr. K.K Sharma as he gave away prizes to the outstanding performances. Our Students (Sejjal Malik - XII and Diwakar Bidhuri- XII) participated in The 52nd Gowardhan Dass Memorial Inter School Declamation Contest organised by Springdales School, Pusa Road on 20th April, 2018. The students won the Rolling Trophy and Sejjal Malik was also adjudged the Best Speaker. Bluebells Celebrated ATL Community Day On 13TH April, 2018 - Invited Students From Government Boys School, Chirag Enclave to Participate in a plethora of activities as electronic circuits, animation, making a Bridge with waste material and 3-D printing. Our students participated in The Y.Kumar Memorial Assembly For Peace and International Understanding 2018, organised by Springdales School, Pusa Road. The Y Kumar award is given to a candidate for the Spirit of Internationalism and a global consciousness for the preservation of the environment and for promotion of peace and brotherhood. 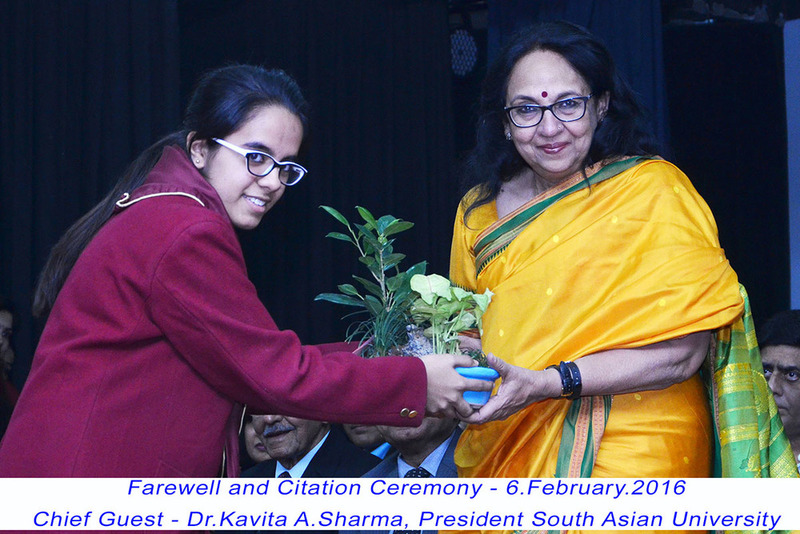 Savita Tripathy ( XII ) was awarded this distinguished award this year on 9th February, 2018. On 3rd of Feb, Bluebells School International celebrated Valedictory Ceremony to bid farewell to out-going batch of 101 students of class XII. May they be the ambassadors of Peace and Brotherhood. We wish them well for all their worthwhile future endeavors. Global Innovative School Award (GISA 2018) at the Global Millennial Conference, in Dubai on 27th January 2018. It was a powerful amalgamation of beauty and brains at the Mr. and Ms. Bluebells held in the school auditorium on Thursday, the 25th of January, 2018. Twenty candidates vied for the coveted titles going through the general awareness, talent and extempore rounds confidently and gracefully exuding the Bluebellian charisma. Sukriti Vasudeva of XII- B, Dhruv Saluja of XII-B bagged the titles of Ms. And Mr. Bluebells and Purnima Nagar of XII-C and Abhedya Mishra of XII-A won the Ms. And Mr. Talent. Different manifestations of art forms of students from Nursery - Grade 12 were on display at the Annual Art Exhibition at Arpana Caur Art Gallery from the 19th to the 21st of January 2018. The exhibition was inaugurated by Padma Shri Ms Ajeet Caur, writer of short stories on Social-Realist themes and Mr.Javier Blázquez Francés Director of International Activities, Area of Strategic Global Development, Gredos San Diego Schools, Madrid Spain, who called the works of art as REAL ART and not work of budding artists. Principal, Ms Suman Kumar, guests and parents appreciated the master strokes of the youngsters. On the 16th of January, the institution had the proud privilege of hosting Honourable Daniel Andrews MP, Premier Victoria on his first state visit to India, to launch the Victoria India Strategy Program, aimed at strengthening ties with India. The OSAB Met on Saturday, the 23rd of December, 2017 and it was a roller coaster of a ride as nostalgia gripped the Ex-Bluebellians and they reminisced with their mentors, friends and guides. Heart touching words, melodious song renditions and exuberant witty performances added glitz to the affair. 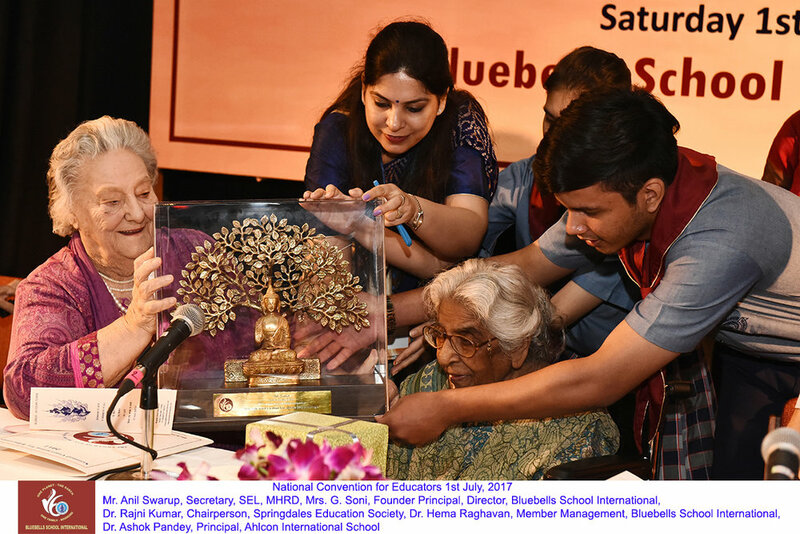 The highlight was the Bluebellians felicitating Ma’am Soni, Ma’am Suman and their teachers which was indeed a warm & emotional moment – marking a befitting tribute to their alma mater. Click here to see the "Stories Of Change" from Primary School Direct from DESIGN FOR CHANGE Site. Please Click the above link to check the German Freelance Football Artists performing at Bluebells, sponsored by Embassy of Germany. Dr Pitanjali Nayyar discusses - Experimenting Behaviours during Adolescence with parents at the monthly -'Chaupal' at school on the 25th of November. Mr. Kshitij Adlakha Cyber Safety expert addresses parents of classes VI to XII on "Keeping your Children safe on the internet"
The 60th Student Council of Bluebells School International was sworn in on the 24th of July . The Chief Guest for the day was Educationist and Consultant Dr. Asha Singh who addressed the students and gathering as life-long learners with service to the nation as their priority. She reiterated the importance of self-belief and said that change can happen only if there is a sense of purpose and willingness to learn. Be Doers to initiate change was her plea to the new Prefectorial body. 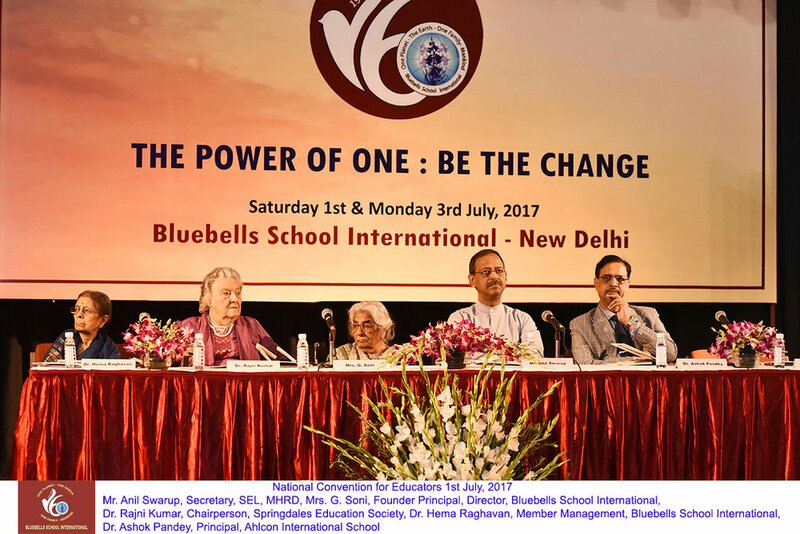 Bluebells School International celebrated the human spirit, epitomized by the global icon, Dr. Nelson Mandela on the 17th of July 2017. The chief guest, Mr. Shree Pillay-first secretary, political, South African High Commission was deeply touched and impressed by the fact that Madiba's humanitarianism had been kept alive in Bluebells School, India. The cultural programme presented was an inspiration to be a change and follow the footsteps of the great leader. 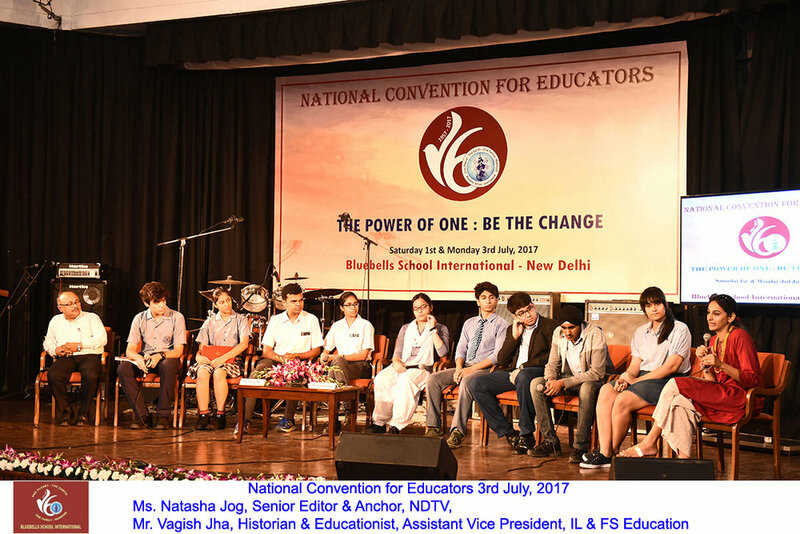 Bluebells School International hosted a 3 day National Convention for Educators from the 1st to the 3rd of July17 on the theme- The Power of One:Be the Change,dedicated to the 60th year celebrations of the school since it's inception.Guest speakers included change-makers like Dr.Rajni Kumar, Mr. Anil Swarup, Dr. Mallika Sarabai,Mr. 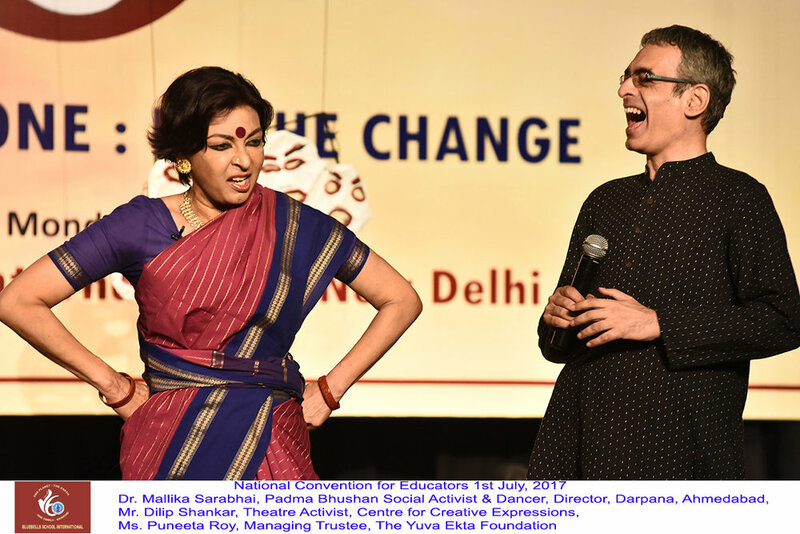 Bunker Roy, Ms. Avnita Bir, Ms Jo Chopra, Ms Natasha Jog, Tannishtha Chatterjee who all presented powerful views, talks and performances.The finale was the musical rendition by Kabir Cafe, neo fusion band from Mumbai inspiring change. 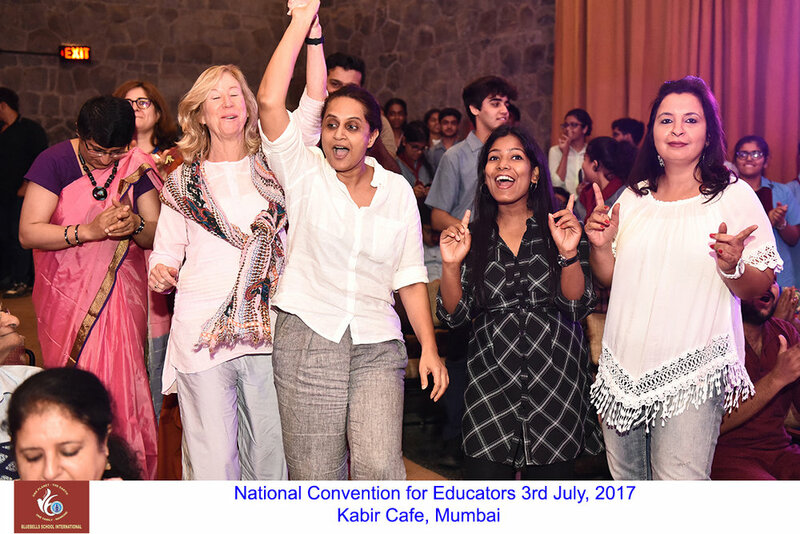 A TRIP TO NOSTALGIA IS WONDERFUL FOR THE SPIRIT-AS WAS EVIDENT IN THE COMING TOGETHER OF THE EX-BLUEBELLIANS FROM 1982-2000BATCHES ON THE 13TH OF MAY 2017...Back in school they all made memories, had fun, sashayed to groovy beats ,sang songs of cheer and couldnt get enough of the lady who dreamt of a beautiful paradise and achieved it by shaping personalities and grooming the leaders of today-Ms. G.Soni,Founder Principal of the Bluebells Empire.The Osabians longed for the merriment to go on as they reminisced about the beautiful era gone by. OH MY, HOW TIME HAS TOO! The 9th Mathematical Genius Awards (2015-2016) conducted by an NGO – Society of Education Council is an event organized by experts in mathematics with an objective of promoting and identifying Mathematical Genius in the State. 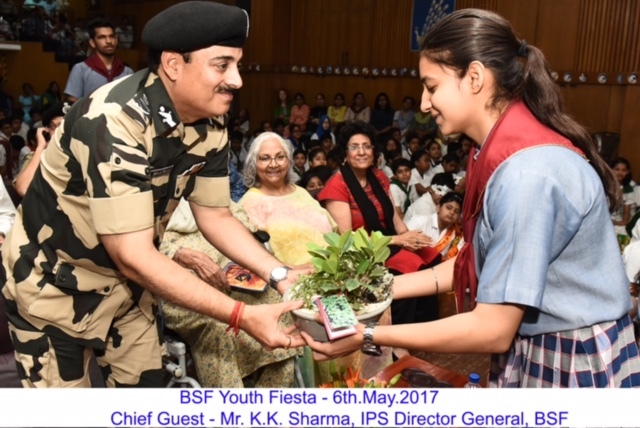 The BSF youth fiesta is celebrated every year to showcase the plethora of talent in the school as a culmination of the performance of the six houses in many fields. 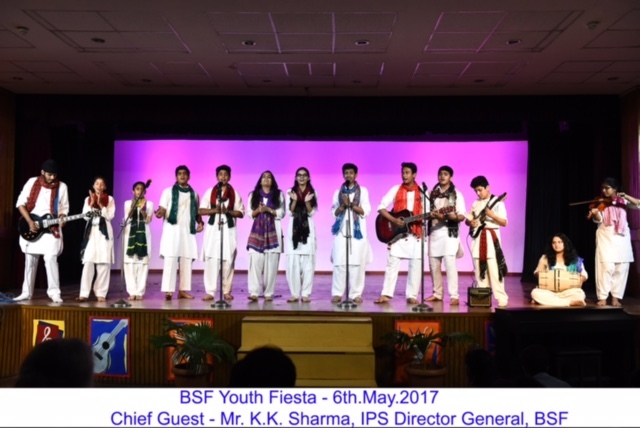 The BSF youth fiesta 2017, was scheduled for 4th -6th may 2017 at Bluebells School International with the main theme as ‘Embracing the Only Constant –Change’.The electrifying choreographies and zealous music compositions left the audience dancing in their hearts. These were appreciated by all the dignitaries, audience and judges from the world of theatre and performing arts and Bsf Director General Mr. K.K Sharma as he gave away prizes to the outstanding performances. Fostering innovation and learning by doing, Science department organised a hands on physics learning experience in collaboration with Cardiff University. Proff Steve Watts conducted the session for science students of grade 11, whereby students designed Simple Pendulum and performed various experiments to study its dynamics in detail. On the 6th of April 2017, Mr Kshitij Adlakha, cyber expert addressed students on internet safety and cyber security. Mr and Ms Bluebells contest is the most awaited event for the outgoing batch of class XII. This year Mr Bluebells' title was conferred on Debangshu Mukherjee and Ms Bluebells on Ushni Das Gupta. The Mr Talent crown was conferred on Ishaan Bhattacharya and Ms Talent was conferred on Muskaan Bose. Won the coveted RS Niamat Rai Memorial Contest - the prestigious inter-school competition for investigatory projects in Mathematics that aims at fostering, in young people, "a sense of exploration of new possibilities", a pedagogic principle innovated by the late Mr Niamat Rai, a renowned mathematician and long associate of Springdales school. 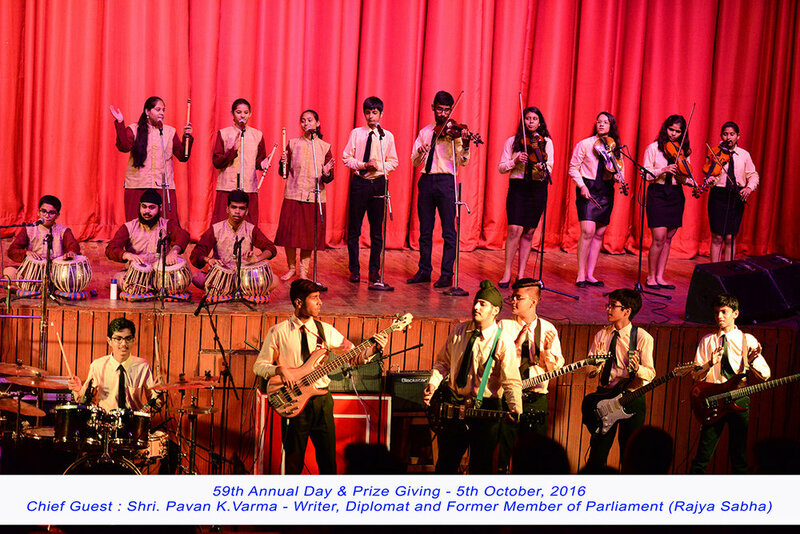 Bluebells School International celebrated the 59th Annual Day and Prize giving on 5th October, 2016 at Sirifort. The students exhibited their talents through a play - 'Suleh-Kul'- based on Akbar's philosophy of love,peace and brotherhood. Mr.P.Pavan.K.Varma, a prolific writer,diplomat and former member of the Rajya Sabha was the Chief Guest and gave away the prizes to students. Anhad Singh and Tarik Emir of VIII D were the first runners' up at the DK Quiz Finale 2016 held in Delhi. We congratulate the student teachers of class XII for their exemplary and praiseworthy performance on Teacher's Day. Independence Day was celebrated on 12th August 2016. 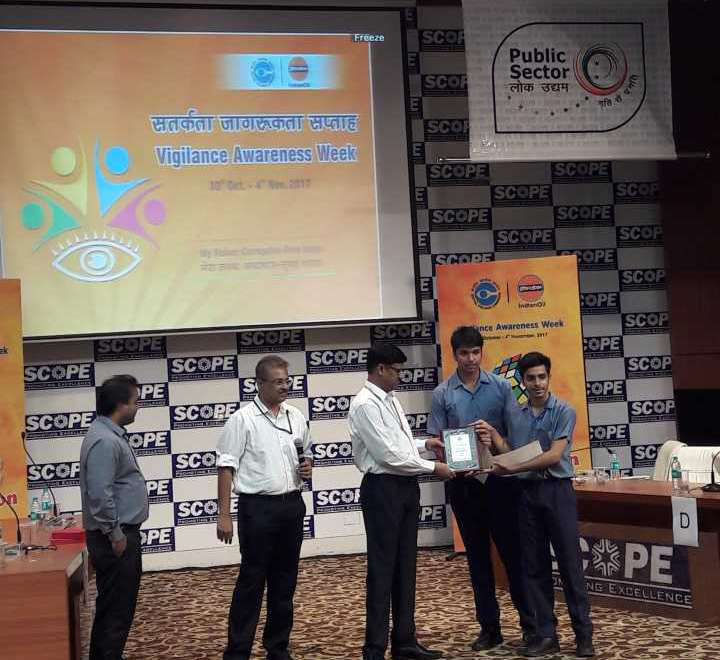 The chief guest on the day was Mr Krishan Kumar Sharma, Director General, BSF. Hrishav Kumar Das and Devansh Chadha of class XI accompanied by a Science teacher Ms Neeru Bhushan, participated in the Super Science High School fair (SSH) at Kobe, Japan from 10-12 August, 2016. The students presented their project titled ‘Which Wing Design Creates the Greatest Lift and Innovations of New Air Designs’. They created a wind tunnel to show the flow of air around the effectively designed wing which was appreciated by all .The research was also commended by the judges and was credited to be a very innovative one. Amity International School, Noida organised Dhananjay Mohan Science Symposium held on 3rd August, 2016. Hrishav Kumar Das of XI A and Devansh Chadha of XI A secured first position in model making and the team comprising Hrishav Kumar Das, Devansh Chadha, Rohit Duggal of XII A and Mehar Kaur Duggal of XI A won the overall trophy. The 14th Kusum Verma Memorial National InterSchool English Festival held on 29th July, 2016 organised by Springdales School, Dhaula Kuan- Kashika Raj Saroha of class IX - A won first prize in Expression: Shakespeare Sonnet Contest and Meher Kaur Duggal of class XI A secured third position in Expression: Shakespeare soliloquy competition. 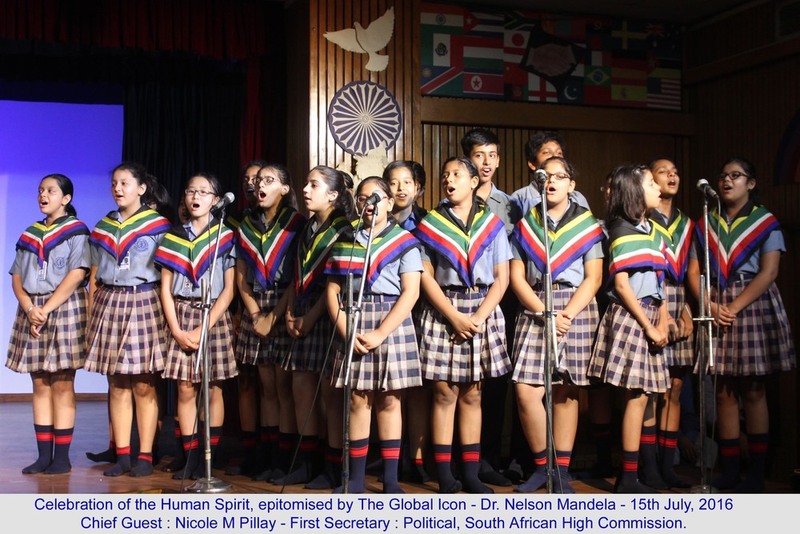 Bluebells School International paid tribute to their beloved Madiba on the 15th of July through an assembly that was especially dedicated to the great leader and humanitarian Nelson Mandela. The Chair of the Chief Guestwas graced by NM Pillay, First Secretary Political, High Commission of South Africa. The Assembly showcased theatrical representation of moments from the life of Madiba along with visualizations of poems including Africa by Tagore. In her address to the august gathering, the Chief Guest stressed on the need for leaders like Madiba in the present day world that is ravaged by war, violence and hatred. The 8th Mathematical Genius Awards (2015-2016) conducted by an NGO – Society of Education Council is an event organized by experts in mathematics with an objective of promoting and identifying Mathematical Genius in the State. On the 6th of April 2016, as part of the ongoing Australia India School Bridge Programme, Special Envoy for Trade, Honourable Andrew Robb accompanied by the The Australia India Education Ambassador and legendary cricketer Adam Gilchrist -visited and experienced the Bluebellian hospitality and warmth. International Festival of Language & Culture (IFLC) organized by Educational Endowment Trust was held at Bucharest in Romania. The finale was held on 2nd March, 2016 in which Harsh Sharma, a student of class VII–C of our school, participated in the singing, which was highly applauded IFLC is a platform for the students to represent their country’s culture, particularly through the medium of dance and singing. It gives them an exposure to acquaint themselves with the culture of various countries of the world. On 6th of Feb, Bluebells School International celebrated Valedictory Ceremony to bid farewell to out-going batch of 85 students of class XII. May they be the ambassadors of Peace and Brotherhood. We wish them well for all their worthwhile future endeavors. Meher Kaur Duggal of class X won the coveted title of the 'Speaker of the Year 2015'- A National event organized by Maverik Ventures. Another student Tarunima of class V was the proud winner of 3rd Runner up trophy in the same event in Kids champ category. Congratulations to the proud winners!! Mr and Ms Bluebells contest is the most awaited event for the outgoing batch of class XII. This year Mr Bluebells' title was conferred on Manan Basu and Ms Bluebells on Mahashweta Chakraborty. The Mr Talent crown was shared by Joshua Minz and Annanya Ranka and Ms Talent was shared by VardhiniKrishna murthy and Tanvi Akhauri. The judges for the day were Mr Dilip Shankar, a theatre personality, Ms Latha Palat former English Teacher of Bluebells School and ex student Ms Aditi Biswas, a theatre personality . Ms Gurnam Soni, the Founder Principal and now manager celebrated her ninetieth birthday with her friends, managing committee members, colleagues and staff with great zeal and enthusiasm. 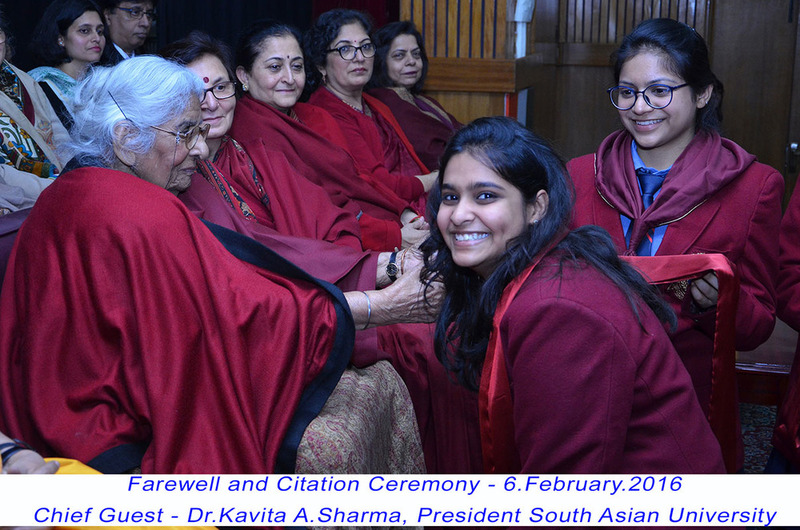 Her bosom friends of more than seven decades like Dr Mrs Rajni Kumar, founder principal of Springdales Schools in Delhi, Jaipur and Dubai along with her daughter Dr Jyoti Bose, Ms P. Loomba former vice principal of DPS Mathura Road along with a host of retired principals, artists Ms Ajeet Kaur with daughter Aparna Kaur and well wishers from different walks of life who shared their journey of friendship with the august gathering. A cultural extravaganza followed with messages from friends, colleagues and ex students from all over the world and a rendition of Ms Soni's all time favourite songs were sung by the talented staff members. The Old students' association presented a digital piano to the school and sculpted bird in granite was presented on behalf of the staff. The function culminated with the cutting of the cake amidst great celebrations which was followed by a lavish spread for all. 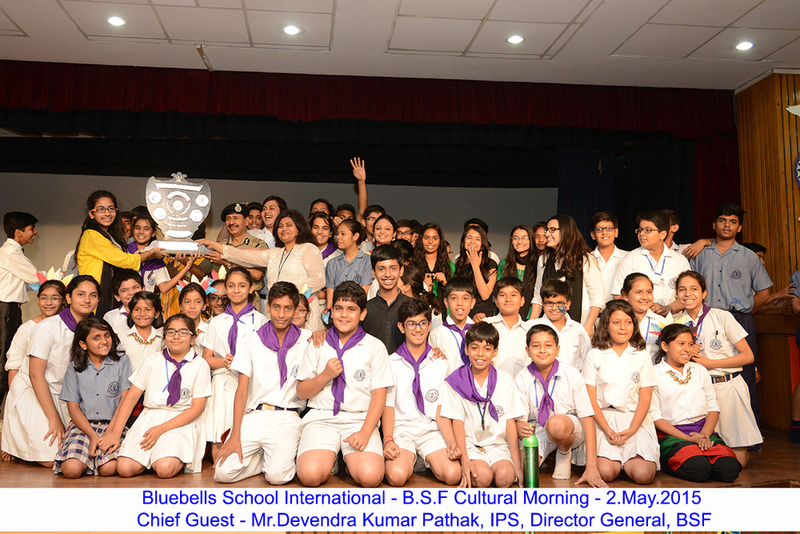 Bluebells School International celebrated the 58th Annual Day and Prize Giving on 10th October,2015 at Sirifort. The students showcased their talents through a myriad of dance and songs cultivating with Oscar Wilde's - The Happy Prince - A ballet of cultural bonanza. Dr.P Prakash , Additional Secretary, University grants Commission was the Chief Guest and gave away the prizes to students. 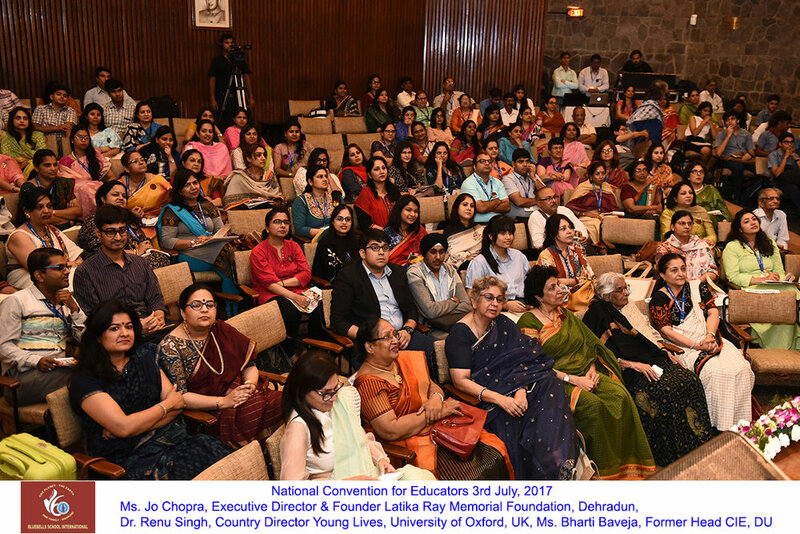 In recognition of the commitment to Quality Standards, the Bluebells School has been awarded the prestigious Membership of the English Language Quality Standards Network by the British Council India. Ms. Kiran Jamwal, Supervisor Pre-Primary has been awarded the Lions Excellence Award for teachers(2015-2016) on 13.09.2015 at the India International Center, for her exceptional contribution towards making the 21st Century education meaningful and joyful for the young minds. It is a proud moment for all of us. Heartiest Congratulations and Best Wishes!! They danced on nimble feet to enthrall the audience. On the 25th of Aug students of Bluebells School International were privileged to have an opportunity to watch a group of special guests perform for them. 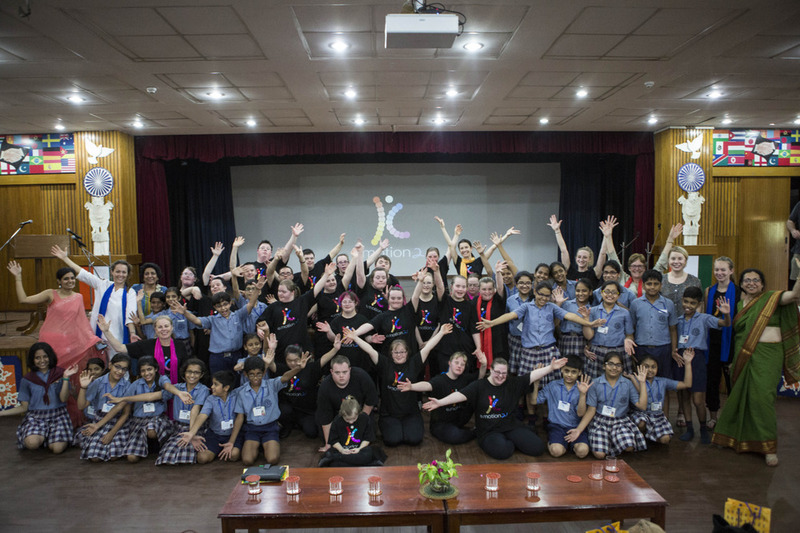 Students of e.motion21 the only Australian organisation to provide dance and fitness opportunities exclusively for children and young adults with Down syndrome were in India. They had been invited to perform in India at the 2015 triennial World Down Syndrome Congress, in Chennai. The common human love for music, movement and fun helped the young audience to change their perceptions about Down syndrome. And as they danced together for the grand finale they won each other’s hearts and crossed over boundaries laid by the narrow confines of society. Independance Day was celebrated on 14th August 2015. The chief guest on the day was Air Marshal Denzil Keelor. Proud winners of the rolling trophy at Dr A K Saha Investigatory project organized by Springdales School, Dhaula Kuan. Team comprised of Rohit Duggal, Sanjay Banerjee, Mana Basu, Malay Soni, Hrishav Das and Eashan Nakra. Celebration of the Human Spirit epitomised by the Global Icon - Dr. Nelson Mandela on 17th July 2015. The chief guest on this occasion was - H.E Mr.F.K. Morule, High commissioner South African High Commission. The Senior Prefectorial Handing Over was celebrated on 10th July, 2015. The chief guest on this occasion was Mr. Jitin Prasada, Former Union State Minister. Congratulations Adarsh Alphons (ART PIONEER) - founder & executive director, project Art Community Scholar, Columbia University. Bluebells School International congratulates it's ex-student Adarsh Alphons for being awarded CNN HERO 2015 for his outstanding contribution in the field of Art. He heads a nonprofit 'ProjectArt' which provides free art classes to school children in New York. Adarsh believes that "Every child needs to have space for them to create. Art is essential to a well-rounded education because it lets a child learn things that they wouldn't learn through other fields." Congratulations Maria Sohail, We are proud of you on being awarded the prestigious Karsh International Scholarship for your undergraduate program at Duke University USA. Congratulations to Syeda Shua Zaidi a student of Class IV-D, for writing her first book at the age of nine published in 2014. Her book titled "The Famous Ballet Show" is based on dreams which are fulfilled by hard work. A commendable achievement indeed ! Savita Tripathy of class VIII A has won Second Position in the Senior Category in the Annual HT Pace NMNH Inter School Essay Writing Competition, 2014. 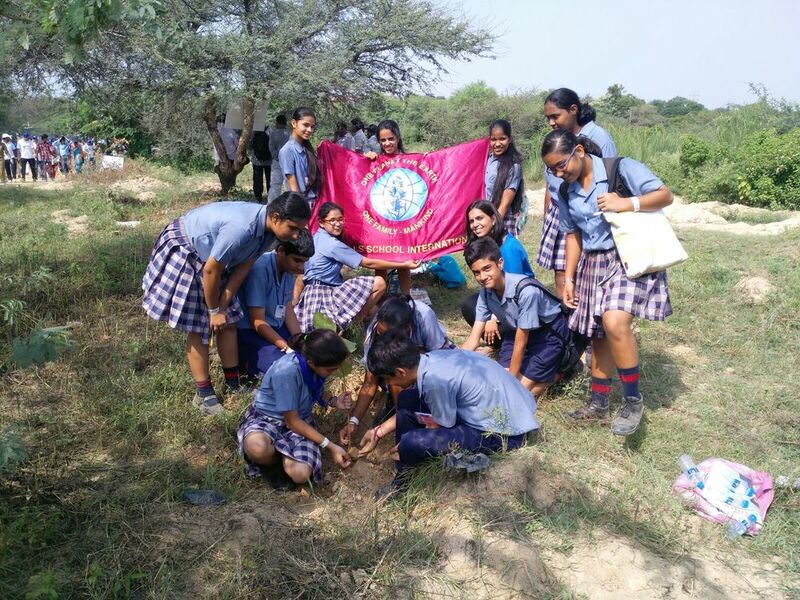 The Competition was held in association with the National Museum of Natural History to sensitise students to environmental issues. Our heartiest congratulations to her!! 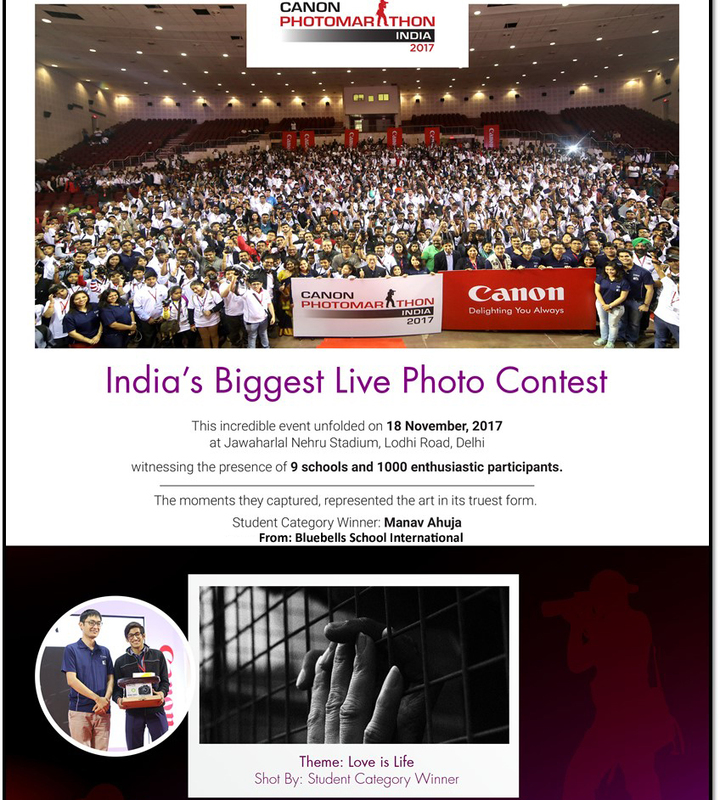 Excerpts from the winning entries was published in the HT School Times . Batch of 1989 - It's never too late to come back to your second home even 25 years later. WELCOME BACK! Class of Rowdies - A short film with a simple message on the art of teaching and learning. A must watch for all teachers, students and parents. It has won 1st place in the Narrative category of the 2014 MY HERO International Film Festival. Congratulations Nitin Das and Bluebells. We are very happy to welcome the French Delegation from Ecole Boulle School, Paris, France from 30th November to 12th December, 2014. Proud Winners of Annual Science Festival, IMPACT-2014 organised by Vasant Valley School. 16th May, 2015 Dr Jitender Nagpal Sr. Consultant Psychiatrist and Incharge of the Institute of Child Development and Adolescent Health at Moolchand Medcity conducted for parents of Class XI an interactive session on "Bridging the family Communication Gap"
BSF is a three day long cultural fiesta held as a marked reminder of our decade long association from the 1970's with the Border Security Force. To commemorate the Golden Jubilee year of the BSF, the Director General BSF, Mr Devendra Kumar Pathak honored our school with a new rolling trophy and a cheque of Rs 1 lakh. This initiative has strengthened our ties with the BSF further and provided a wider scope for co-scholastic activities in our school. 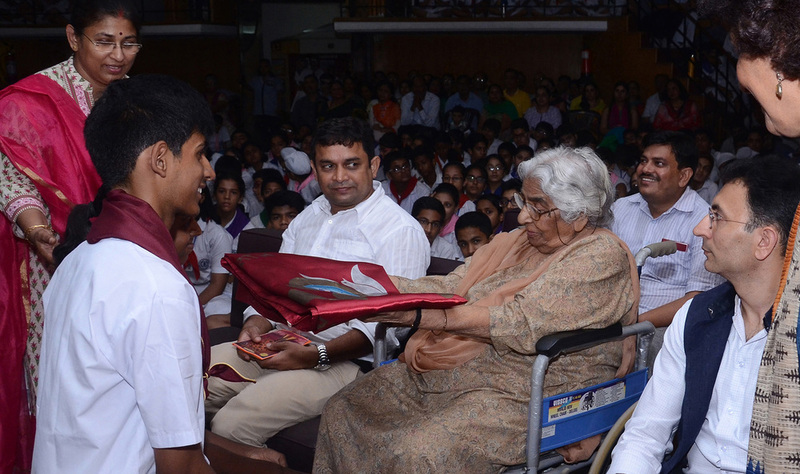 The Junior Prefect Handing Over was celebrated on 26th February, 2015. 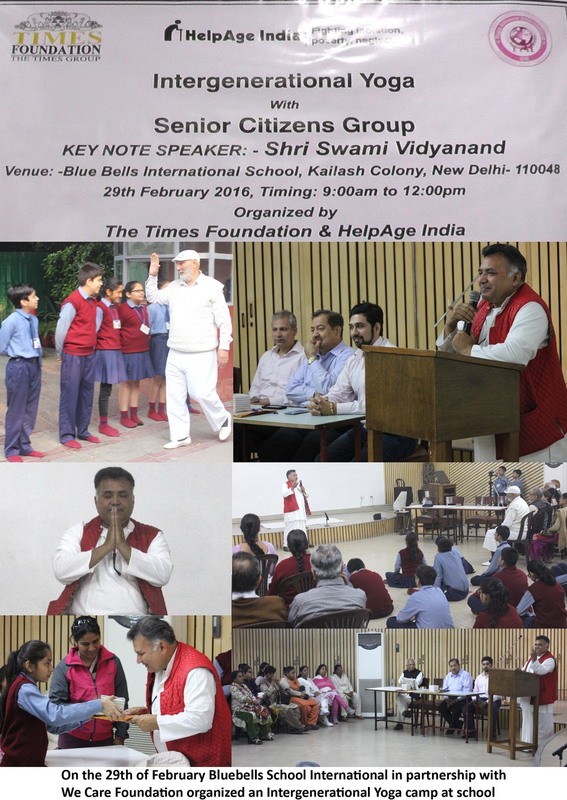 The chief guest on this occasion was Mr. Vimal Kumar Rathi, Retired Assistant Commissioner of Police Delhi. The Valedictory function for the outgoing batch (class XII) for 2014-15 was celebrated on 14th February, 2015. The chief guest on this occasion was Prof Shyam B Menon, the Vice Chancellor of the Ambedhkar University. Bluebells School Celebrated the Annual India Day Exchange Programme on 4th Feb, 2015 with The Japanese Embassy School New Delhi. The Chief Guest was Ms.Hagiwara, Director of Japanese information center and Mr. Makishima the new Principal of Japanese school. The Annual event of selecting MR and MS BLUEBELLS from the outgoing batch of XII. The coveted Mr Bluebells title was won by the whiz kid- Mudit Bhardwaj, Ms Meghna Goyal won the title of Ms Bluebells. Mr Talent's crown was won by Aman Mahajan and Ms Talent prize was shared by Ms Bhavya Bhatia and Ms Khwaish Sharma. Congratulations to the winners!